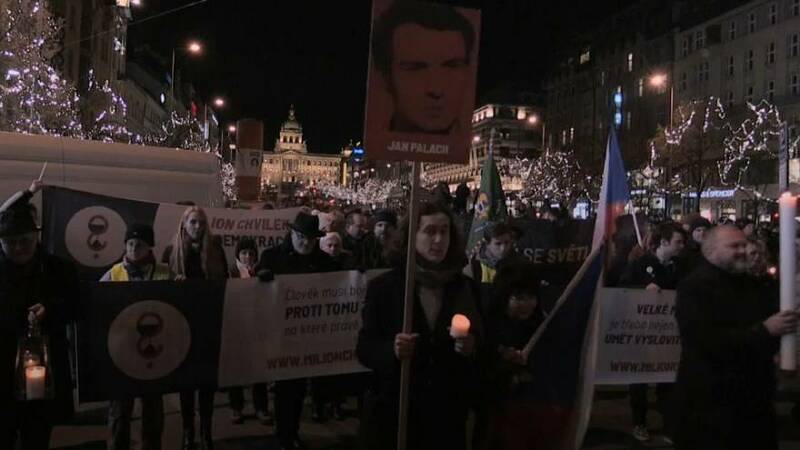 Czechs paid tribute on Wednesday night to a student activist's suicide protest 50 years ago. Jan Palach piured petrol on himself and set himself on fire in Prague's Wenceslas Square on January 16, 1969. His self-immolation was intended to urge Czechoslovaks to resist a new hardline regime absolutely loyal to the Kremlin, following the 1968 invasion which crushed the "Prague Spring" liberal movement. With burns to 85 percent of his body, Palach died on January 19, 1969, aged 20. "People must fight against the evil they feel equal to at that moment," he whispered on his death bed.